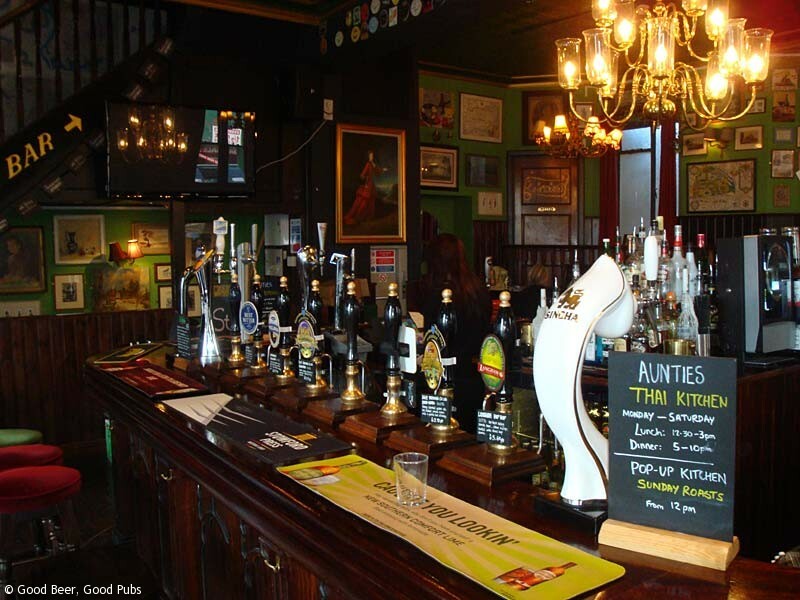 Large and popular real ale pub at the western end of one Brighton’s well-known shopping streets. As you enter through the central doorway the island bar is straight opposite. The large picture windows at the front give the pub a light and airy feel and during the summer months they are likely to be open. The seating areas surround the bar on both sides and there is a small raised seating area at the back. I believe there is also an upstairs room as well. On the bar an impressive array of handpumps take centre stage. 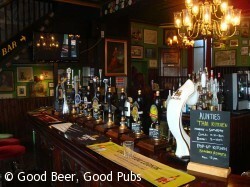 Most of the real ale served is from local breweries and the beers here taste well-kept. The Langham Hip Hop on my last visit was very good. Food is available at lunchtimes and evenings, but I’ve not eaten here. If you don’t want to eat here there is a good fish and chip shop further down Western Road towards Hove. On some evenings the pub can be very lively. 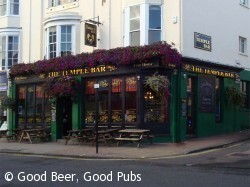 Although the pub is a fair way from Brighton station it’s certainly worth a visit. I visited this pub on 8/9th of April 2014. It was just like being at home! Good beer (excellent pint of Cobra), good company and a good time. Met a couple of girls from Demark and Germany while watching the Man u & Bayern M game! As you can imagine, the Fraulein was v.happy and I had to buy her a drink as we had a cheeky little bet!. Anyway, they just added to the lovely bar staff who made me feel very welcome as well as the regulars, especially Lee! Cannot wait to drag my a**e back down there again, which I will soon!!. Thank you The Temple Bar!! !